So You Want to Be a Chief? Now more than ever, fashion and retail leaders seeking a path to the c-suite need strong partnerships with recruiters. As a former merchant, I understand that you might not find this compelling – recruiters can be pesky and talking to them when you’re content doesn’t always feel like a great use of time. But hear me out. The reality is that top executive roles in this industry are limited in supply and high in demand. In this crazy retail revolution, hard work alone might not be enough to get you where you want to go. This is where executive search recruiters come in. If you want to be a Chief, you should answer every recruiter call. It’s the most effective way to leverage this climate of constant change to your advantage. The key is utilizing these calls to establish strong, ongoing relationships with recruiters who can give you a significant leg up when perfect opportunities arise. 1. Answer when you’re not looking – even if you’re happily employed. This might sound unreasonable. Why invest the time if you’re not interested in moving? There are many known reasons – to hear about new opportunities, to get a sense of what’s going on in the market and to grow your network. But there’s a more strategic reason, too. Is my experience on track for the career trajectory I’m seeking? What additional experience is required for me to get to X level? How do I benchmark against other candidates in my space? Is my compensation expectation aligned with what you’re seeing in the market? All this valuable dialogue helps recruiters get to know you better which will benefit you in the long run. In the meantime, you’ll walk away smarter for every call you take. 2. If a role isn’t for you, position yourself for one that is. It’s worth noting that honesty and transparency should be hallmarks of these conversations. Stretching the truth or omitting key pieces of information is likely to result in wasted time for all parties involved. 3. Strengthen your reputation and relationships by elevating others. You will inevitably receive some recruiting calls about roles that aren’t a good fit. These calls present an opportunity to solidify your relationships with recruiters while elevating your own professional network. Referring qualified candidates pays it forward. This will help form your reputation with recruiters and motivate them to go the extra mile when you need help in the future. 4. Leverage your relationships when big decisions arise. The time you invest answering recruiting calls, sharing information and referring qualified candidates will likely result in one or two go-to relationships. These trusted recruiters have considerable market insight that you can (and should!) tap into when you need advice. Ask questions and make sure you receive useful information as a result. Only invest further time and trust talking to people who add value. Executive search is all about intel. While you’re focused on driving your business, recruiters are constantly referencing and looking out across the market at open opportunities – many of which are highly confidential and never publicized. In order to be considered when that next perfect opportunity appears, it’s important to share updates on your experience, aspirations and accomplishments as they evolve. A quick email to say, ‘I got a promotion and now I have full P&L responsibility,’ could be the difference-maker that positions you for a Chief role that’s soon to open in a company you admire. Top executive roles in fashion and retail are limited in supply and high in demand. Engaging in an ongoing dialogue with the gatekeepers of the industry’s most sought-after positions is a strategic move to ensure your hard work gets you where you want to go. Once you’ve developed a relationship with an executive recruiter, s/he should be invested for life and provide valuable guidance that helps you achieve your c-level goals. Don’t wait until you’re actively looking – when a recruiter calls, always answer. It’s a critical step on your path to Chief. 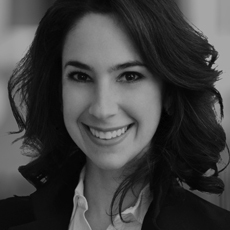 Dana Levine is an experienced Senior Associate specializing in c-level recruiting for fashion and retail brands. A self-described student of the industry, Dana joined Kirk Palmer Associates following a successful career as a merchant for luxury brands including Loro Piana and Ralph Lauren. This first-hand insight enables her to serve as a trusted advisor and confidant throughout every step of the candidate experience.